Fairtrade VS. The Rainforest Alliance? Following a two-year campaign to increase the availability of Fair Trade products in towns, cities and counties across our nation, Wales made history in 2008, becoming the first ever Fair Trade Nation. Clearly, the land of our fathers is full of globally-conscious consumers who want to do our bit for social justice and we should be well proud of ourselves! But the rise in ethical awareness has also seen a rise in debate, especially in regards to two of the most well-known certification marks: Fairtrade and The Rainforest Alliance. So what exactly is the difference between these two? When you buy products with the FAIRTRADE mark (a registered certification label for products sourced from developing countries) you support farmers and workers in their efforts to improve their lives and communities. The mark means that all ingredients in the product have been produced by small-scale farmer organisations or plantations that meet Fairtrade social, economic, and environmental standards. These standards include protection of workers’ rights and the environment, payment of the Fairtrade Minimum Price (usually higher than the market price) and an additional sum of money called Fairtrade Premium which goes into a communal fund for workers and farmers to improve their social, economic and environmental conditions, as they see fit. When you buy products with the Rainforest Alliance certified seal, you support the conservation of biodiversity and ensure sustainable livelihoods by transforming land-use practices, business practices and consumer behaviour. The green frog seal means that some (30% minimum) of the product meets standards designed to protect ecosystems, safeguard the well-being of local communities, and improve productivity. If less than 100% of the product is certified then the percentage that is certified will be indicated beneath the Rainforest Alliance seal. All companies who use the seal are required to scale up to 100% at some point in the future. FAIRTRADE and the Rainforest Alliance have separate objectives and separate approaches to these objectives. So, when you buy a product with the Fairtrade mark or the Rainforest Alliance certified seal your purchase supports farmers and producers in different ways. - Fairtrade labelling standards are designed to tackle poverty and empower small-hold producers, addressing the injustices of conventional trade which discriminates against the very poorest. - Rather than emphasizing how products are traded, Rainforest Alliance Certification focuses on how farms and plantations in developing countries are managed, looking at the economic, social, and environmental aspects of sustainability. - At least 30% of products with the Rainforest Alliance mark are Rainforest Alliance Certified. For example, a pack of 80 softpack Tetley teabags has a minimum of 50% RA certified tea. This means that the other 50% is not certified and does not support farms and plantations. - 100% of products with the FAIRTRADE mark are Fairtrade certified. This means that every ingredient must meet Fairtrade’s minimum social, economic and environmental requirements, plus progress requirements that encourage the improvement of farmers’ organisations and the situation of estate workers. - Fairtrade guarantees farmers and producers a fair minimum price for their products. The minimum price is set based on a consultative process with Fairtrade farmers, workers and traders, making sure that producer groups receive a price that at least covers the cost of sustainable production for that product in that region. If the market price for the product is higher than the minimum price then producers should receive the market price. This protects farmers and producers from fluctuations in the market and protection ensures they have a stable income and can plan for their future. - The Rainforest Alliance does not guarantee a fair minimum price. However, they do aim to grow farmer earnings by improving farming practices and productivity, which eventually facilitates access to high value markets. 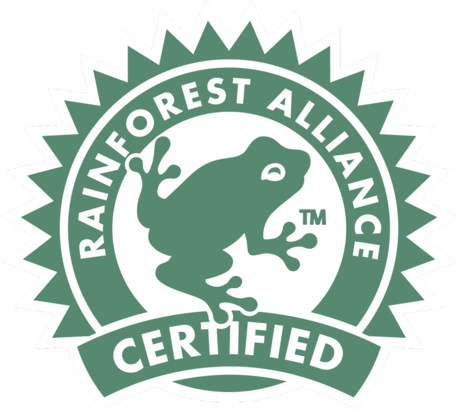 - The Rainforest Alliance offers smaller companies a useful entry point onto the ethical market because products do not have to be 100% RA certified. With the option to scale up to 100%, companies have an opportunity to become more ethical in the future if they want to be, and they also get credit with consumers for attempting to be more ethical. 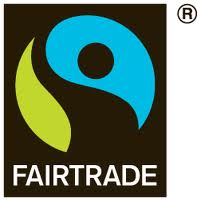 - The traditional FAIRTRADE mark does not make it easy for companies to join the ethical market. However, Fairtrade is bringing out a new sourcing program which allows products to contain only 1 Fairtrade ingredient (for example, Fairtrade sugar in a chocolate bar). 100% of the Fairtrade ingredient would be Fairtrade certified. 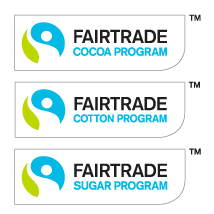 To avoid potential confusion the new sourcing program will be indicated by the Fairtrade Program mark on the right. This means that Fairtrade is also trying to open up the ethical market for companies, as well as enabling more Fairtrade opportunities for consumers and producers. Both Fairtrade and the Rainforest Alliance are credible schemes that work towards a sustainable future, promoting thoughtful consumerism and global conscience. Both are members of ISEAL (http://www.isealalliance.org/), the global membership association for sustainability standards. But there are key differences between the brands that consumers should to be aware before they decide which one to support. The Fairtrade Foundation, ‘What Fairtrade Does’, http://www.fairtrade.org.uk/en/what-is-fairtrade/what-fairtrade-does [accessed 02/03/15]. The Rainforest Alliance, ‘About Us’, http://www.rainforest-alliance.org/about [accessed 02/03/15]. Fairtrade International, ‘Fairtade Sourcing Programs: An Overview’, http://www.fairtrade.net/fsp-overview.html [Accessed 13/03.15].